TestMart - the leading government procurement resource for test and measurement equipment on GSA Schedule 66. The FieldFox family of RF and microwave analyzers are handheld analyzers designed to deliver precise, lab-grade meaurements up to 50 GHz wherever you need to go. 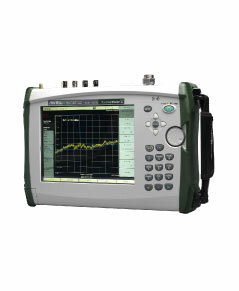 At only 6.6 to 7.1 lbs., they are all-in-one cable and antenna analyzers + vector network analyzers + spectrum analyzers and more. Offering more built-in capabilities than similar analyzers, you can replace the hassle of carrying multiple instruments with a single FieldFox. Designed for your toughest working conditions, the fully sealed enclosure is compliant with US MIL-PRF-28800F Class standards. Plus, with field-upgradability, you can choose the capabilities you need today, and easily add more features later. • Used for installation troubleshooting, repair and maintenance e.g. in wireless local loop and modern 2.4 GHz Wi-Fi systems. 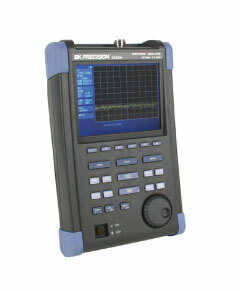 The MS2720T is the premiere handheld spectrum analyzer for civil and peacekeeping needs worldwide. Five versions cover frequencies from 9 kHz up to 9 GHz to 43 GHz. Broadband preamplifiers over the whole frequency range offer increased sensitivity for interference hunting. Flexible triggering includes settings for hysteresis, hold-off, and delay. 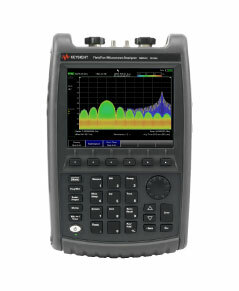 Burst Detect captures 200 µs bursts the first time, every time, up to 15 MHz wide. Delivering desktop performance in a rugged, handheld package, Spectrum Master is the spectrum analyzer of choice for security agencies. 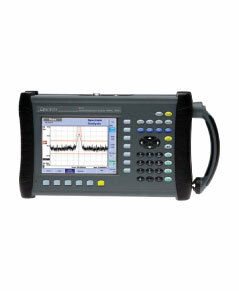 The 2650A series of compact, light weight and cost-effective spectrum analyzers are for quick and precise signal investigations, especially away from the bench.